The Battle Over Wounded Knee: Who Deserves The Land? Wounded Knee is the site of one of the most infamous massacres of Native Americans by the United States Army. More than 100 years ago, American soldiers massacred men, women and children in the last major bloodshed of the American Indian wars, making the property, Wounded Knee, the symbolism of the shaky relationship between Native Americans and the U.S. government. In 1973, a group of Indian activists held a forceful takeover that resulted in protests and a bloody standoff with federal agents. 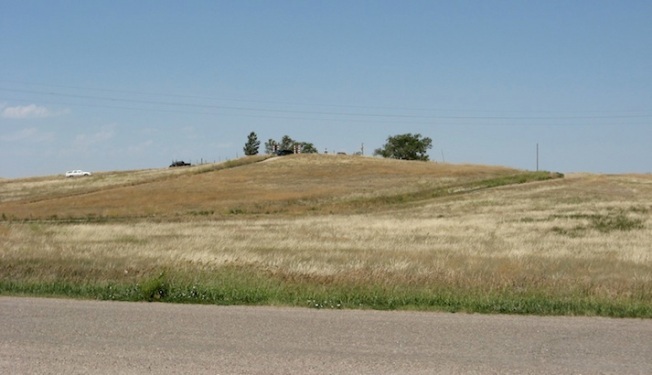 The New York Times reports that James Czywczynski is putting the land on the market for $3.9 million, far more than the $7,000 the Oglala Sioux say the land is worth. The clash over the land is raising interesting questions. Should American Indians even have to buy back the land that was taken from them? Should the land be preserved as sacred? Should the tribe be able to capitalize on what happened there? Mr. Czywczynski isn't losing sleep over those questions. If the tribe fails to put down the money by May 1, he will put it up for auction, allowing anyone to buy it. The battle of what to do with the land of Wounded Knee wages on, but meanwhile, time is ticking.